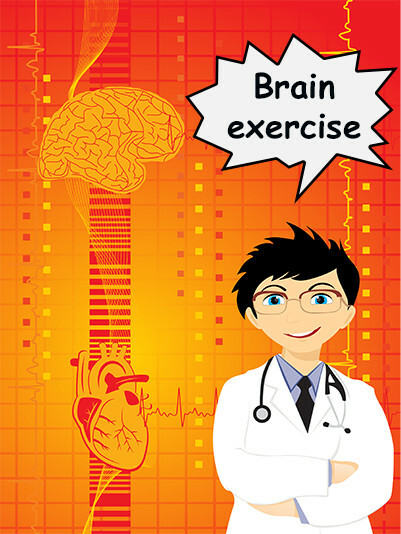 Training your brain is a very important thing everyone should do to keep it healthy. It is a well-known fact how the brain capabilities slowly decrease as you age. Maintaining your mind sharp and functioning is essential in order to live with a better quality of life. Keeping a good diet, doing exercise and reading are always good options to achieve this. If you want to try something new, maybe something more fun you could do in your free time or on the bus in your way to work or school, you should consider playing some memory games! Yes, memory games present you different types of problems and challenges you have to solve by using your mind and your creativity in order to advance. Nowadays, with the rise of mobile technologies, everyone can have practically as many games as they want in their phones, so it’s time to play! We tend to think that in general videogames are an activity that is mostly directed toward children and teenagers, but the gaming world is very broad, and you can see how there are many genres of games that are well suited for almost any kind of audience and caters to everyone’s needs. Mobile gaming is not the exception to this rule; in fact in the last few years it has become a huge and influential part of the market thanks to how approachable and easy they are to access. Memory games are part of that popular trend and with good reason: there are thousands of options out there that you can just “pick up and play”, and get some good brain exercise while having fun. Most memory games out there are focused to the general adult public (although you will still find lots of brain games for kids, of course), so you will get many kinds and levels of challenge, without forgetting about the fun element. One of those fun and challenging games that you can instantly get in your phone to get your brain training started is Super Brain Game. This is an incredibly enjoyable and exciting experience that will activate the synapse in your neurons to get an amazing brain workout, from the comfort of your home. Super Brain Game offers a stimulating experience that will involve your entire problem solving skills, as well as your short-term memory retention capabilities to practice in order to solve memory puzzles, advance levels and get achievements. Every certain amount of levels you will get to a checkpoint so you can save your progress and keep playing whenever you want. As you can see, this a very complete app that will get your fix of brain training! Memory games are good for you and there is practically no reason why you shouldn’t try them! You can easily integrate this fun element in your daily activities and still get everything done! (As long as you play games in a healthy way of course, no excess!). Super Brain Game is beyond doubt a great alternative to consider when getting into memory games and brain training apps because it’s got it all: super engaging puzzles that will keep you in the edge of your seat! Besides, the fun continues and gets even better when you challenge your friends and family to see who has the best brain. If you want some good brain exercises this is a good option to begin with and believe me: you won’t regret it at all! Let’s play! Brain Games Can Improve Your Memory – Brain games are one of the best to practice your skills and have a good time while waiting between classes or simply at home. You can find many interesting apps and have a blast while still training your brain.